Four retired and one active-duty Army National Guard officials and one civilian have been charged for their alleged participation in bribery schemes related to the awarding of millions of dollars of Army National Guard marketing, retention and recruitment contracts. 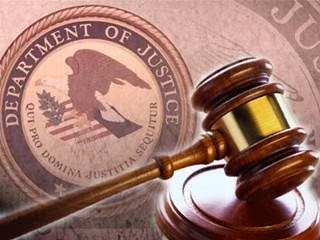 Two of the retired Army National Guard officials and the civilian pleaded guilty for their roles in the schemes. Assistant Attorney General Leslie R. Caldwell of the Justice Department’s Criminal Division, U.S. Attorney Dana J. Boente of the Eastern District of Virginia, U.S. Attorney Loretta E. Lynch of the Eastern District of New York, Assistant Director in Charge Andrew McCabe of the FBI’s Washington Field Office, Special Agent in Charge Robert E. Craig Jr. of the Defense Criminal Investigative Service (DCIS) Mid-Atlantic Field Office and Director Frank Robey of the U.S. Army Criminal Investigative Command’s Major Procurement Fraud Unit (Army-CID) made the announcement. Charles Sines, 56, of Stafford, Virginia, a retired colonel from the United States Army National Guard; Wesley Russell, 48, of Albany, Indiana, a retired lieutenant colonel from the Indiana Army National Guard; and Jason Rappoccio, 39, of Hampton, South Carolina, an active-duty sergeant first class from the Army National Guard are charged with conspiracy to solicit bribes and the solicitation of bribes. Russell and Rappoccio allegedly asked for and received bribes, and Sines allegedly provided bribes. Robert Porter, 50 of Columbia, Maryland, a retired colonel from the Army National Guard, and Timothy Bebus, 44, of Forest Lake, Minnesota, a retired sergeant major of the Minnesota Army National Guard and owner of Mil-Team Consulting and Solutions LLC, each pleaded guilty in the Eastern District of Virginia in September 2014 to conspiracy to commit bribery and bribery of a public official. Julianne Hubbell, 45, of Brooklyn Park, Minnesota, a civilian who partnered with her brother, Bebus, as the vice president of operations of Mil-Team, also pleaded guilty in September 2014 to conspiracy to commit bribery. Sentencing hearings for Bebus and Hubbell are scheduled for Jan. 23, 2015, and for Porter on Jan. 30, 2015. As set forth in the indictments and other publicly-filed documents, the National Guard Bureau is a joint activity of the U.S. Department of Defense (DOD), state Army National Guard units and the Departments of the Army and Air Force. The National Guard Bureau, located in Arlington, Virginia, oversees the distribution of federal funding provided to the Army National Guard and its state units. The DOD provides millions of dollars of federal funds to the Army National Guard for, among other things, advertising, marketing and sponsorships in order to recruit new members. The National Guard Bureau uses these funds to promote the Army National Guard by entering into advertising, marketing and sponsorship contracts. For example, through advertising, marketing and sponsorship contracts, the National Guard was an official sponsor of Dew Tour, Warrior Dash, and American Motorcycle Association Supercross’s events, where recruiters handed out promotional items and recruited new members. The National Guard also had a contract to sponsor Michael Jordan’s AMA Superbike team. The National Guard Bureau can avoid a competitive bid process by awarding these federally-funded marketing contracts to Small Business Administration (SBA) certified 8(a) companies, which are minority-owned businesses. The National Guard Bureau also provides a portion of the federal funds to the state units to allocate. The indictments allege that Sines and Rappoccio evaded the competitive bid process by using 8(a) companies to award contracts in exchange for bribes. According to allegations in the indictment against him, Sines founded a company, Financial Solutions, after retiring from the Army National Guard as a colonel. Sines allegedly paid Porter, a then-active-duty colonel in the Army National Guard, a percentage of all contracts that Porter steered to Financial Solutions through 8(a) companies. As the director of the National Guard Bureau’s Guard Strength Directorate, Porter had substantial influence over the awarding of National Guard Bureau contracts, and allegedly steered approximately $4.5 million worth of contracts to Sines and Financial Solutions. The indictment against Russell alleges that, while on active duty as a lieutenant colonel in the Indiana Army National Guard, Russell demanded 15 percent of all profits that a private marketing company would receive from state Army National Guard units. In return for his 15 percent cut of the profits, Russell allegedly promoted and encouraged state Army National Guard units to purchase the marketing company’s products. The indictment against Rappoccio, an active-duty sergeant first class in the Army National Guard, alleges that Bebus and Hubbell paid Rappoccio a $30,000 bribe for steering a contract worth approximately $3.7 million to an 8(a) company chosen by Bebus. In pleading guilty, Bebus and Hubbell admitted to paying this bribe. In an effort to conceal the bribe payment, Bebus, Hubbell and others allegedly arranged for the payment of $6,000 in cash to Rappoccio, and the remaining $24,000 was allegedly routed from a business account controlled by Hubbell to an account controlled by Bebus and Hubbell’s brother-in-law, and then provided to Rappoccio in the form of a cashier’s check to Rappoccio’s wife. An indictment is merely an allegation, and the defendants are presumed innocent unless and until proven guilty. The case is being investigated by the FBI’s Washington Field Office, with assistance from DCIS’s Mid-Atlantic Field Office and Army-CID’s Expeditionary Fraud Resident Agency’s Major Procurement Fraud Unit. The case is being prosecuted by Trial Attorney Alison L. Anderson of the Criminal Division’s Fraud Section, Assistant U.S. Attorney Jonathan Fahey of the Eastern District of Virginia and Assistant U.S. Attorneys Marisa Seifan and Martin Coffey of the Eastern District of New York. Allegations of bribery or corruption within the National Guard Bureau’s retention and recruitment contracting can be reported to the FBI’s Washington Field Office at (202) 278-2000 or the FBI’s Northern Virginia Public Corruption Hotline at (703) 686-6225. Jason Rappoccio being my recruiter in Hampton, SC... could I be or have been at risk?